Do you have green hands? Here is a creative way to celebrate your creativity! At WiseDecor, we have wall decor that looks good in every room! 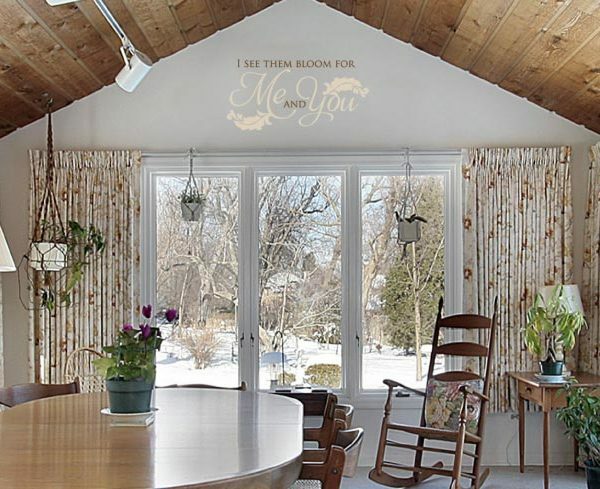 ‘I see them bloom for me and you’ wall words found a home in this stunning dining room. It is a well-lit room because of the windows. This dining space is also home to the numerous potted plants in the room! 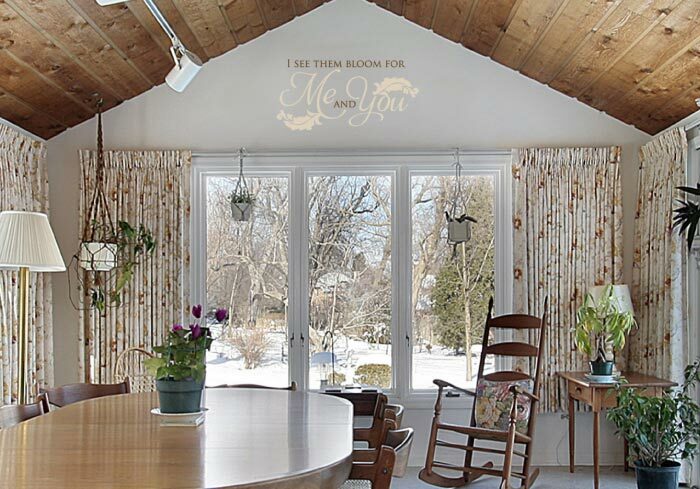 Our wall letters are the focal point and tie in to the vaulted ceiling, and the furniture in the room. 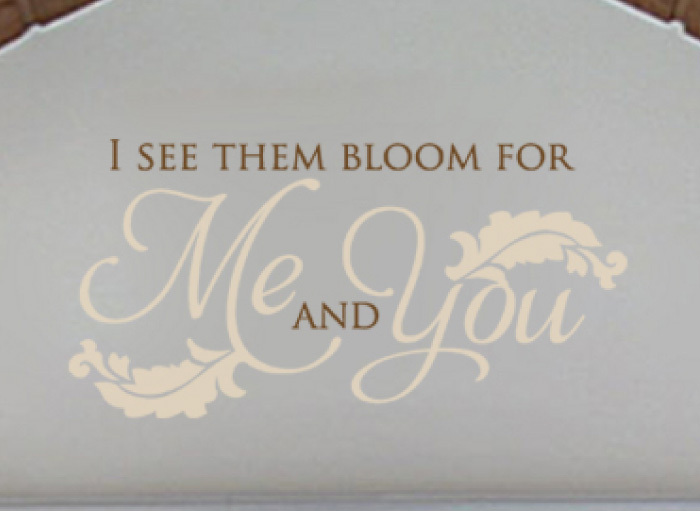 They will be a constant reminder to friends and family to appreciate the greenery around them! Are you looking for unique dining room wall decor? Try WiseDecor products. They come in various colors, style and size that will blend in with your decor style. Have a look at our ‘by Room’ category. You will be pleasantly surprised! We have something for every wall space. Application is easy! Simply peel back the underlying back sheet and paste the adhesive side of the lettering on to the wall. It does not take long to put them up, neither do they require a lot to take care of them! They look painted on but without the hard work that goes with this task! 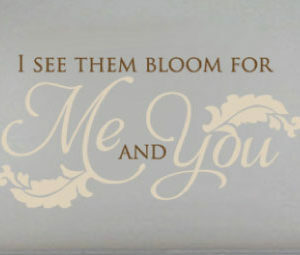 Our wall quotes are durable and affordable. Resin made, they are resistant to extreme temperatures. You will enjoy them for years to come. Do get in touch. 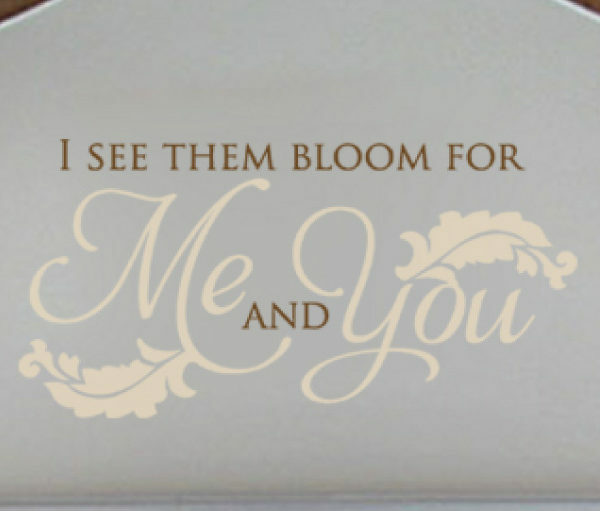 Let us help you decorate with inspiring wall decals!